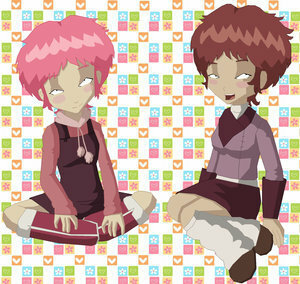 Taelia and Aelita. The only pictur I can find that anda can see a simiarity between the two.. Wallpaper and background images in the Code Lyoko club tagged: code lyoko codelyoko aelita. The only pictur I can find that anda can see a simiarity between the two.